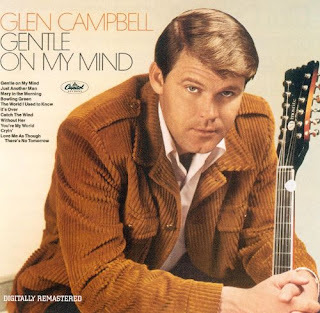 Campbell was a successful studio musician in the sixties because he could play in pretty much every style, including rock, with a distinctive twang. His hit "Wichita Lineman" embodied a sort of beautiful melancholy that became something of a trademark. "Southern Nights" speaks for itself, but it's nice to see Jerry Reed get the credit here for being such an influence. By the way, these cut-off jeans should have been illegal. Glen Campbell united rock and country and folk and put a unique stamp on all of it, becoming a true Rhinestone Cowboy and a pioneer in his field. There was no one like him, and there never will be. Thanks for all the great music.